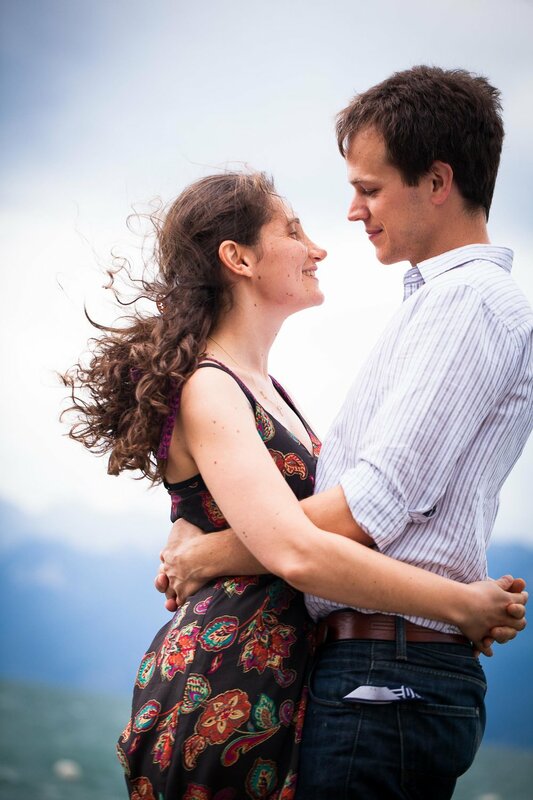 Denisa and Lukas booked me to photograph their wedding at the Schloss Münchenwiler in Fribourg. The booking was quite late and we didn’t have long to schedule a consultation and pre-wedding shoot separately, so we combined them. The main aim of this session was to get to know one another. We also chatted about the wedding details and what they wanted from their photos, in between shots and with a coffee beforehand. The couple were quite nervous about having their picture taken, so it was a perfect opportunity to guide them through my process. Different things make different people feel comfortable, sometimes explaining helps, sometimes just keeping shooting and then showing the results is more effective. Here, I went for a combination: describing how to stand and what I was looking for, then letting them be themselves by giving them silly actions to do and capturing their reactions. There was no pressure on this photos as the couple didn’t really want to do anything specific with them. 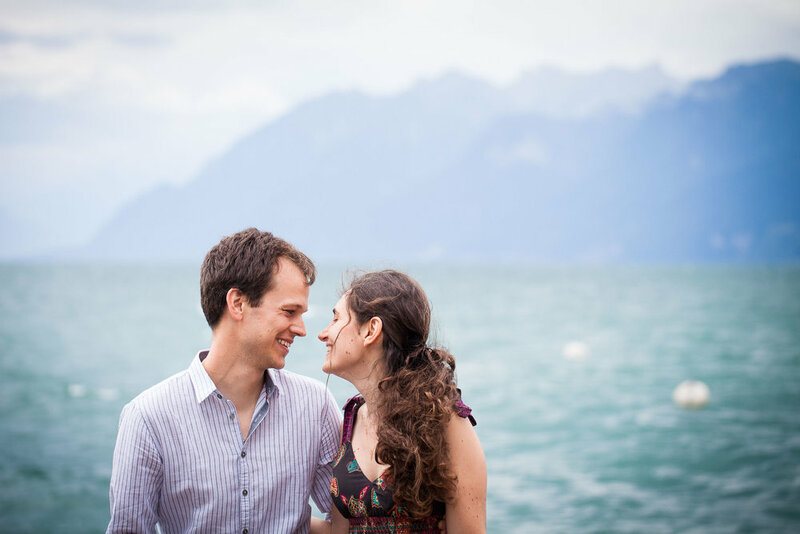 However, when they saw the results, they loved the care-free spirit and the atmosphere of the stormy lake Geneva that they were thrilled to have such unique images of the two of them. A storm was brewing. The sky was dark and the wind whipped around us. As we sat in the café of the Chateau d'Ouchy, fat raindrops plopped ominously onto the ground. It had been hard to find a moment when everyone was available just a few weeks before their wedding date, but I was determined to get a few shots of Denisa and Lukas. As long as it’s not pouring with rain (and sometimes even then! ), I can still take photos. We braved the weather and were rewarded with some very atmospheric images. Denisa and Lukas have a freeness and vitality about them that fit perfectly with the crashing waves and the whistling wind. 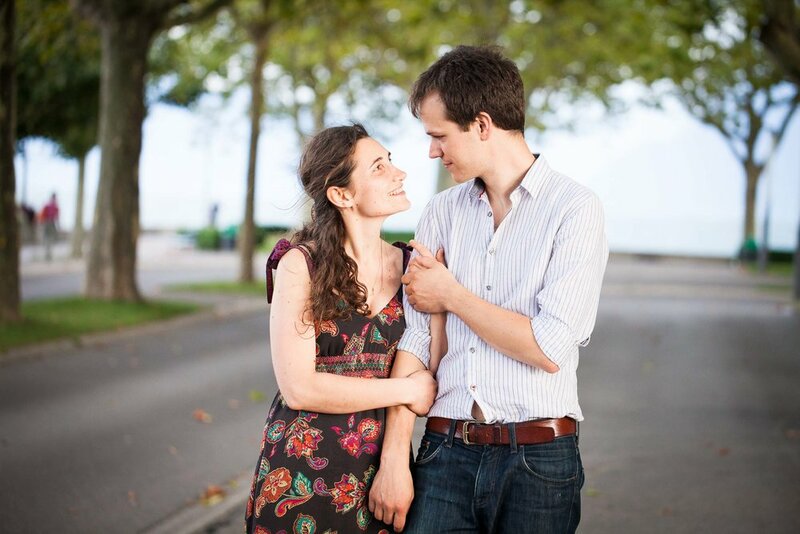 We took about 45 minutes around the Château d’Ouchy, just wandering, trying out poses and having fun. Once they discovered that I didn’t want them to pose formally and smile for the camera, they began to relax and the naturalness of their personalities shone. How often do you get to have your picture taken by a professional? It is a different experience to being photographed by friends or relatives. I include a prewedding session with all my wedding collections so that you can see yourselves through my eyes. I love to work with couples who are willing to give things a go, head outside whatever the weather and really be themselves. This is a great no-pressure shoot that can result in photos that you will treasure almost as much as those of your wedding day. To see some more prewedding and couples shoots, check out the links below.